Please join us for today’s service led by Rev. Paul Dodenhoff. 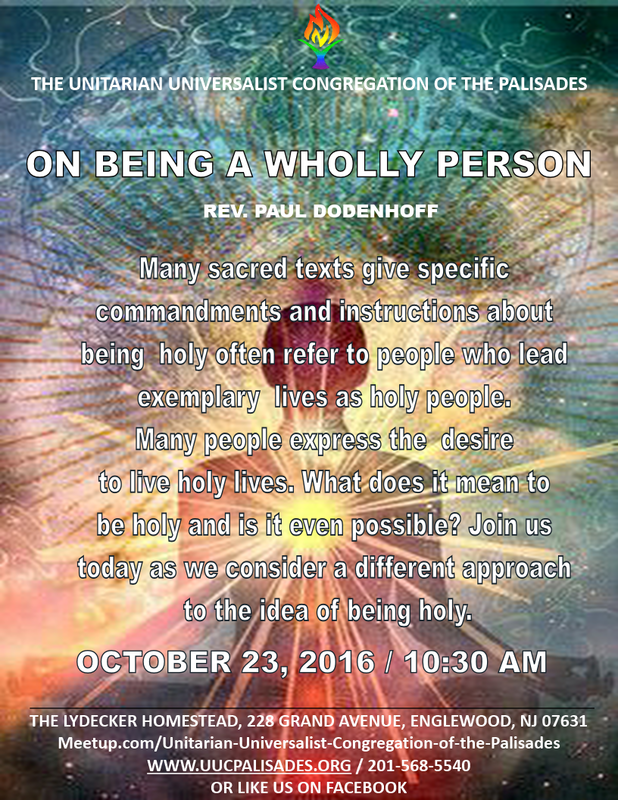 Many sacred texts give specific commandments and instructions about being holy often refer to people who lead exemplary lives as holy people. Many people express the desire to live holy lives. What does it mean to be holy and is it even possible? 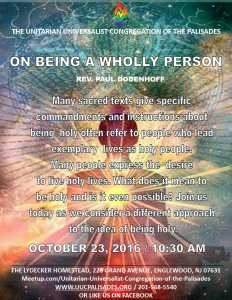 Join us today as we consider a different approach to the idea of being holy.